It’s no secret that “blockchain” is one of the biggest buzzwords of 2018. This software rose to international fame during the “bitcoin fever” of 2017, but many mistakenly believe that its applications don’t extend beyond finance. In this blog post, we’ll reveal the surprising story on how blockchain combined with artificial intelligence (AI) will disrupt the education industry. Blockchains store encrypted information across a network of personal computers. Each piece of information (referred to as a block) gets stored chronologically with all of the other related pieces of information. This makes a fool-proof system that shows key holders ALL transactions in the history of that blockchain. Though blockchain is most famous for its connections to cryptocurrencies, its benefits extend beyond finance. Its applications in education are astounding, and have the power to overhaul the existing structure. What are the benefits of blockchain in education? First, blockchain has the power to democratize the entire educational system. Right now, in order to acquire a degree, students need to attend an accredited school. With the rise of MOOCs, however, the value of a degree might be on the decline. Instead of having a degree serve as a certificate of achievement to ensure that a student has met all of the academic standards, blockchain could achieve this same effect. It acts as a ledger that holds a record of every single course that a student has taken as well as what their grade was in the course. Employers will access the student’s “digital transcript” of sorts to evaluate how much knowledge a student actually has about a subject through an online portal. Blockchain is a more secure, faster, and easier way to transfer accreditation data. It basically gives students the ability to share official documents instead of requesting that the school send a transcript. It's also impossible to manipulate, so there's an added layer of security. Blockchain also is particularly helpful for students who don’t attend traditional degree programs but take courses online—it serves as a “personal” transcript that follows their educational pursuits. When it comes to blockchain, reputation means everything. When properly managed, blockchain becomes a transparent storage locker for an actor’s online reputation. It cannot be altered, and it can always be traced back to the original source. As more online courses sprout up, the blockchain can serve as a pseudo-accreditation system for courses. Those with great reputations will become well-known in the community while those that don’t live up to the demands of students will have irreparably tainted reputations. Blockchain encourages learning platforms to provide high-quality and useful content for learners. If the learning platform falls short, their reputation will follow them indefinitely. In other words, this blockchain means there are “no more broken promises” for students looking to find courses online. Finally, blockchain saves money for institutions because of its “secure by nature” design. On a blockchain, data is automatically encrypted and can only be accessed by those with permissions. It also cannot be altered once it’s become part of the chain, making it a secure system for documenting transactions. All of that makes blockchain one of the most well-regarded platforms in terms of data safety. Currently, institutions spend significant amounts of money proactively ensuring that their data is safe and secure. By keeping information on a blockchain, however, the data is already encrypted in a secure way. The only thing that needs to be kept safe on a blockchain is the private key that’s needed to access the data. This not only reduces the risk of hackers entering the system, but it also reduces spending on cybersecurity efforts. What does Artificial intelligence have to do with blockchain? Blockchain and artificial intelligence go hand-in-hand. Managing blockchains with AI will allow transactions to become “smarter” over time. That’s because artificial intelligence analyzes data faster than humanly possible. The AI scans past smart contracts to see what worked well and what didn’t, then makes intelligent suggestions for future contracts. 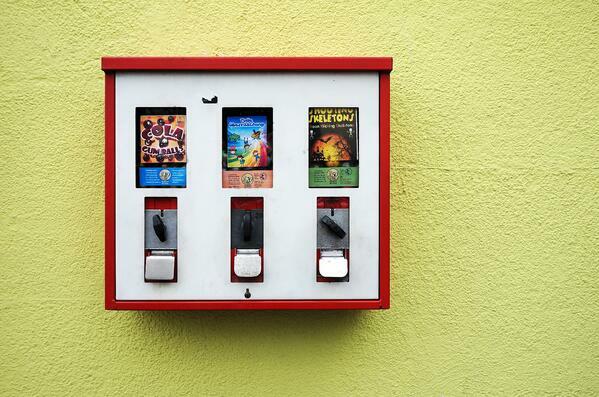 You can think of smart contracts as digital vending machines. Turning over sensitive information to AI is understandably a concern for the broader public. By using blockchain though, the public might begin to trust AI a little more. By recording every single transaction or decision that the AI makes, the machines are held accountable. Anybody can see what the decision-making process is behind an artificial intelligence algorithm. How will blockchain affect educational publishers? Blockchain will affect educational publishers in a few specific ways. Mostly, it will help publishers keep track of their work, both internally and externally. Internally, blockchain helps all contributors, publishers, and editors securely work on a single platform at the same time. It will record every change that occurs, and it is automatically encrypted, keeping it safe and secure. Its external applications are more interesting though. Through its inherent information storage design, blockchain helps track who interacts with the content. For example, publishers will be able to see if their content is distributed without a license. Smart contracts will also make it easy for both parties to access secure digital content after an agreed-upon transaction is completed. The education industry is ripe for disruption, and blockchain might be that missing agent. As a software that is both secure and transparent, it redefines the notions of accreditation and prestige of educational institutions while also making students' lives easier. However, educational publishers also benefit from this technology as it helps them keep track of their content on a single platform. By combining blockchain with AI, the future of education will turn upside down. Each technology benefits the other and the result could be a new type of EdTech industry that was previously unimaginable. Publishers: Are You Ready To Take Your content To The Next Level? Don’t navigate the world of AI alone. When you work with EDIA, you’ll gain a partner during your AI journey. Check out our case study about our client. Find out how helped them build a foundational path towards adaptive learning and properly meta-tagged educational content with acute accuracy.